Y La Bamba, the songwriting project that Portland-based musician Luz Elena Mendoza founded in 2008, gets its name in part from the famed traditional Mexican folk song and dance, “La Bamba” (bambolear means to shake, sway, swing, wobble). The band had been on hiatus while Mendoza worked on other collaborations, and their first album back fully embraces la bamba. Ojos Del Sol jubilantly meditates on transformation, shaken faith, and renewed wonder as Mendoza’s lyrics dance over a roiling boil of syncopated percussion. This is the rare album that’s as introspective as it is celebratory; it finds peace and identity in change and contradiction. Ojos Del Sol’s sonic palette incorporates the Mexican folk influences of Mendoza’s childhood as well as those of folk rock contemporaries like Angel Olsen. Mendoza mixes choppy nylon strings, simmering synths, and winds with blasts of horns and ebullient, brooding electric guitars. 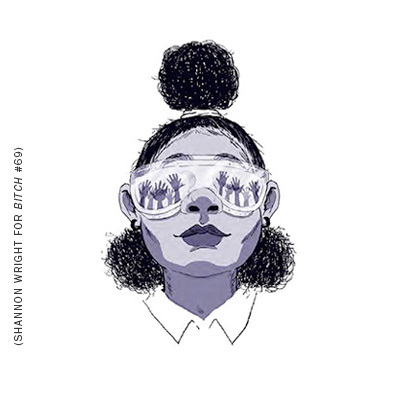 The precise production Mendoza has developed alongside composer Richie Green is alternately lean and lush in the service of her voice, which confidently anchors these songs either in deep and purposeful isolation or in densely layered tandem with herself—large, joyful choirs of one. The album’s first single, “Libre,” features a chorus that swings easily between English and Spanish before layering the two, melodies and words both at odds with each other and inextricably interwoven. Dualities like these coexist happily throughout Ojos Del Sol: waking dreams, past and present, bien y mal. On the loping “Ostrich,” Mendoza relates to Cain as much as Abel, both a daughter of “holy tradition” and a believer in the “holy mess” of living. Over the buoyant and lo-fi strums of “Iris,” she sings of restlessness and stretching out her skin, but on soaring album closer “Ulysses,” she finds comfort in the image of her “parents and their companions walking hand in hand” in a familiar land. “Rain or shine, it doesn’t matter/ We are clear as the water,” her choir incants on the spare and lighthearted “Nos Veremos” as handclaps ring over a pounding beat. 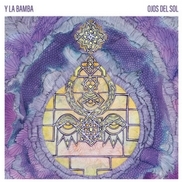 But even while embracing the contradictions of who we were and are, Mendoza acknowledges the need for letting go in the dense and mysterious harmonies of “Kali”: “To know yourself is to lose everything…it’s all interchange, malleable, always moving.” Y La Bamba finds their voice swaying and shaking in the in-betweens and unknowns, in the range and sum of experience. A mixtape of '70s and '80s songs you can scream along to.